In 2016 I was at my heaviest weight. My last child living at home had been employed at an infamous coffee shop that sent their food products home with the barista. This was a primary diet lasting about 6 months during a major decision-making process she was making. Easy pounds on, difficult to take off. Since having children 25 years ago weight gain and loss has been a pattern. A few diets that worked during those years were the Atkins and Curves diets. However they were not sustainable in a lifestyle of a single parent busy trying to create a sustainable business and practice and helping teenagers process emotional ups and downs.. In 2016 the last child left home and another returned. I found my attention turning back to my first love of nature to help sort out the big emotions I was now unexpectedly experiencing from an empty next. This connection to nature has revolutionized my lifestyle and it began whilst in despair standing by a Privet tree we planted. This Privet was now to 7 feet high and standing beside it experiencing my loss there came a sense of being embraced by it. This ignited a journey into a relationship with the plants around me which included making medicinal remedies , discovering edibles and learning their values. This included remedies created with this Privet. This lifestyle change has increased my health and wellness that has resulted in higher energy, vitality and weight-loss. I turned to outside strategies in loosing weight in the past that didn’t focus on my lifestyle. Introducing plants that reduced appetite naturally, improved nutritional value and brain function, and increased levels of tolerance, Weight loss was an organic result. Weight loss was not a primary focus at the time however is a happy outcome. Other outcomes have been increased sleep and sense of humour. In 2017 I received some personal news that affected someone close to me. That marked the start of a deeper grieving process that I truthfully believe the natural plant kingdom helped me to navigate back into a happier, healthy state of being. The only periods of time I felt any aliveness was when I was supporting and mentoring clients and students. When the appointment was finished there was a return to the loss. In 2017 I committed to emphasizing turning intentions into goals in my practice with students that struggled to move through difficult circumstances. This extended to my integration and commitment to doing the same. This resulted in a shift in 2018 that almost seemed organic. The focus of my goal was to integrate natural homesteading ways in my kitchen and types of foods to my diet to meet greater wellness. Imagine my surprise to see that a shift of a large amount of weight has been achieved organically as a result of an integrative changing lifestyle. My intention for sharing this is that I would like to contribute to those interested in the unique perspective of a Feldenkrais Practitioner and the changing physical body functions and abilities and from an em-path with the skills of mindfulness using Nonviolent Communication. Since the 1960’s being slim has been the coveted model for beauty. This cultural shift has created a self-image that in 2019 is a base line for moral judgement. As an em-path it has been a profound experience. This em-paths experience of connection isn’t limited to the outward appearance of someones physicality, it begins inside. Imagine the surprising information this em-path receives when in communication with someone whose philosophy and gauge for beauty is focused solely on outer self-image expectations while being asleep to inner sources of beauty actions. This em-paths beauty indicator starts from inside and when that is ignored outer beauty represents conflict. Inner and outer are out of balance and what someone in that condition is contributing to relationships and the community is conflicted. It is their filter of how they perceive and act in the lifestyle they have created for themselves. Renee’s 2019 goals continue to focus on increased the health and wellness areas of her 9 life areas. Late fall of 2018 and early winter of 2019 has involved clearing clutter from her 9 life areas that today is resulting into higher motivation and inspirational levels. 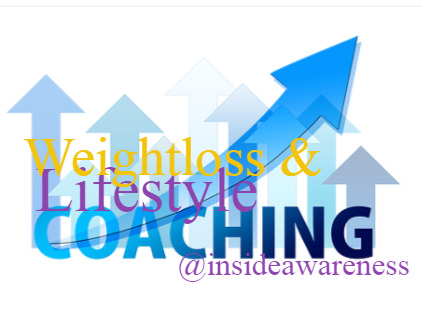 There is growing inner space and yearning to focus attention specifically on fitness and weight-loss! This yearning source is in between the Sacral and Solar Plexus chakras. This is exciting as the urge is coming from the inside out, not from the outside in! 2019 marks the end of 5 year cycle and start of new one! Somewhere along this journey I accidentally lost over 60 pounds, dropped 10 inches from around my waist and watched the bulges and pockets disappear. Now the overall body weight is decreasing evenly. The bodies natural reversibility. I have the intention of loosing another 40 pounds yet my focus is on growing the experience of spontaneous love for food. In my growing appreciation for food I recognize that the model I had did not include learning this love-connection to food. My own mother hated the kitchen and considered it a chore. She depended upon her older daughter to learn and take over cooking and didn’t have time or energy to integrate knowledge with her younger one. I was the younger one and I learned through her feelings and strategies in meal preparation. As an em-path with high kinesthetic and visual sensory what I was integrated was a sense of dirtiness, shame, doubt and guilt when it came to food, diets and cooking, etc. I am excited about my accidental weight lose. It wasn’t some trending program I followed nor was it based upon self-judgement or self-image. It began quite innocently when I became more intent on understanding what herbal and nutritional benefits my growing environment could offer. This exploration is a growing lifestyle change that shows me the sensory connection to what I am consuming and creating into remedies, teas and dyes. At first I began to notice an inner shift in my emotions, gut health and increased energy and physical strength. As the exploration expands into creating fermented foods, home-made yogurt, cream cheese and whey I noticed food portions dropped naturally, With the addition of fermented foods my brain seemed to have more clarity, gut health improved, emotions became less distracting and taking action is quicker. I am thankful for experiencing this deeper relationship food has to our motivation, inspiration, mental, emotional, physical and brain health. Adding live food through a mind-set of curiosity has broaden my inner horizons where new creative and spontaneous qualities of response are emerging. These responses are ones that increase inner confidence and self-love with a growing passion and sense of humor. The joy and appreciation are spontaneous qualities that are outcomes of awe and interplay between food and functional well-being. The heart-felt connection isn’t contrived thought patterns or a result of devotional faith. It is a spontaneous quality of essence or vibration, no thought, no words. Immersing into a somatic learning experience of food resources has settled the survival qualities of fear, terror, anxiety and struggle. Gone is the open wound of hunger. This shift has not only increased my knowledge of the food component to functional well-being that emanates on all levels, it has enhanced the quality of my experience. It has quietly shifted my focus of attention away from my to do list, inner-personal conflicts, memories and survival struggles. My intention for going forward is to expand integrate and learning of live foods into my daily lifestyle through the somatic experience of physical, mental, emotional and now vibrational well-being. Turning to nature has included getting to know individual plants and trees growing around me and learning what is culinary, medicinal and those for skin, hair and dye remedies. This exploration evolved with the seasons to creating fermented foods, home-made yogurt, cream-cheese, whey, apple cider vinegar and more. My personal direction now will be focused upon building like-minded relationships with those interested in these similar values and intention for exploring the nature of food and interplay with the source of our functioning qualities. My growing awareness is supporting an illusive consciousness that it is the connection to this relationship with food source that life evolves around. I know first hand how not being in a like-minded environment can confuse and sabatosh ones intended direction! watch for Renee’s Pod Cast Station – Coming Soon! During my stages of weight gain just considering dieting seemed overwhelming. One child was leaving home and another was moving back in while I was going through a through a transition. The stages of parenting can be hard work with celebration and heart-break. A personal and professional practice using the model of Dr. Marshall Rosenberg’s model of Nonviolent Communication has been a resource in both these topics: parenting, empty nest syndrome and weight-loss. A life already out of balance from being in a period of survival mode as a marriage ended, a loss of a family home, moving households 3 times in less than 2 years, building a practice while being the sole parenting parent to these children. Not only a full-time parent to the children, I was their full-time empathy feelings and needs coach. One didn’t leave my bed for two weeks! I was extremely thankful for my training. What little personal time and energy I had left was spent on trying to learn and create a social network on-line and in the community, while attempting to build a practice. Squeezing in any attempts at exercise or lifestyle events was not an experience of well-being in the challenges of including children. Rather the weight of it was exhausting! Such as, at the gym it was an emotional workout going through their ups and downs and self-conscious reactions. At this side of the experience I am thankful that the only outcome is this moms weight-gain and that it’s not something else! These kids stayed in the oven longer than some and now I am in daily awe of their personal accomplishments, their self-confidence and ability to support themselves. If the price to seeing my children have the skills to navigate their world is having to lose extra pounds, I don’t have a problem with it any of it. If others do, well my viewpoint is that it’s just hypocrisy. It isn’t about their ego and any comparisons they have to themselves. It informs me to their lack of empathy skills and abilities to “see” others separate from themselves. If you remember in an earlier article I am an empath and perceive others quick judgments based on observation without any connection outside of their belief system. A belief system I perceive as their devotion to external beauty and rules to achieve it that doesn’t include lifestyle integration and nurturing their inner beauty. Lifestyle diet behaviours have many contributing factors and it isn’t as simple as choosing a new diet and making new rules to follow. Changing a life-time of diet behaviour isn’t a feat. I can’t count the times I have had friends, clients and students preach and teach their latest diet trending choices only to then watch them fall off the pedestal they have broadcast from, even when others didn’t want to hear it. As an empathy and lifestyle coach the sadness for me in those moments is that they haven’t any connection to their own needs or any awareness that others don’t want to keeping hearing it! It gets old fast. There are so many diets to try. Heck, I have tried a vegetarian, gluten-free, Atkins and Curves diets and more. At the beginning with weight lose it was motivational and inspirational until something in the home network support shifted. The diet could not be maintained and was the first to fall away. I now find diet trends are temporary feel good experiences to satisfy ego driven self-image needs and that they are not sustainable. The steps of integration into it being a lifestyle is missing. Integrating new life-style habits are tho. Integrating new food behaviours into ones life-style can enhance relationships. Yes you read this right. Expanding your relationship with food becomes satisfying after the initial irritation of new learning curves and making time for it. There is a new spectrum of feelings and groundedness that come with this shift. Some of these feeling are joy, sensuality, confidence , motivation and inspiration. If these are not your experiences with food they are unlikely to be experiences of intimacy in relationships. I have found that shifting ones food focus from the science of it and using it for personal gain into that of exploring it to develop a relationship with it creates recognition to its partnership in giving life that is now extending to a deeper knowing of my own virtue qualities I am modeling in my own relationships. I am not a cook, I can’t cook ……with tremendous feelings of worthlessness, guilt, shame and blame to curious excitement and anticipation that has shifted into a sensuality of somatically experiencing food in the present moment. In this new internal statement of being there are reoccurring glimpses of physical, mental and emotional interactions in sharing experiences with my partner. Long gone is the lower vibration that supports the comparisons and competition word vomit that has no room in a somatic experience. These are replaced by a shared purpose of learning, growing and creating.